Yokozuna was a great wrestling attraction. He was an extremely large wrestler, but was able to move pretty well. 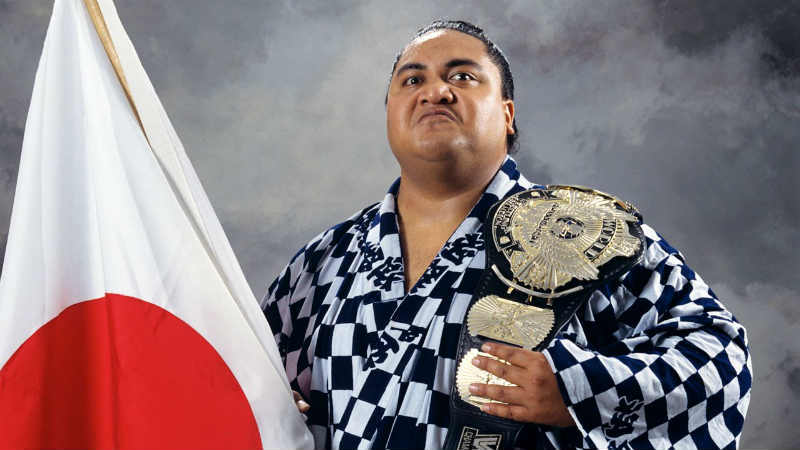 Yokozuna joined the WWF in late 1992 and immediately received a big push to super stardom. Yokozuna was paired up with Mr Fuji and was known for his devastating finishing move – Banzai Drop – which he would normally give to his opponents multiple times. He was not a fan favorite, but at the same time he wasn’t booed like a bad guy; it was more like a silent fear. This to me is what makes Yokozuna’s title reign so historic. In my opinion, he has the longest heel title reign in WWF history at 280 days! 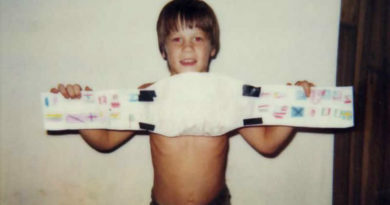 It’s never been common for a heel to be the face of the company, especially considering, Hulk Hogan, the ultimate baby face was the champion for years throughout the mid, to late 1980s. Yokozuna’s reign is currently the 14th longest reign all-time, a truly incredible feat. At the time it was around the 10th or 11th longest reign. Yokozuna’s push began when he won the 1993 Royal Rumble, this guaranteed Yoko a WWF Championship match at that years Wrestlemania (this was the first time that winning the match guaranteed the winner a title shot at Wrestlemania). At Wrestlemania IX, Yokozuna faced off against Bret Hart for the championship. Yokozuna ended up winning the match after Mr Fuji threw salt in Bret Hart’s eyes when he had Yokozuna locked up in the Sharpshooter. This title run, unfortunately, is not the historic 280 days, instead it ended up being one of the shortest title runs of all time with Hulk Hogan defeating Yokozuna in 22 seconds to win the championship. This would eventually set up a rematch at the 1993 King of the Ring in June. Yokozuna would defeat Hogan when, what appeared to be a photographer, would throw a fireball in the Hulk’s face allowing Yoko to land a big leg drop, securing the win. This win would mark the start of his almost year long historic title run. Yokozuna’s first challenge would come when Lex Luger body slammed him at a special event on July 4th securing him a title match against the champion at the 1993 SummerSlam. Yokozuna would lose this match via countout when Lex knocked him out with his bionic elbow, but retaining the title. Luger and Yokozuna would continue feuding leading into that years Survivor Series. During the match, Yokozuna ended up having quite the battle with The Undertaker. This would eventually lead to him facing The Undertaker in a casket match at the 1994 Royal Rumble. 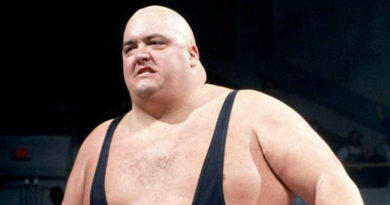 With the help of over 10 wrestlers, Yokozuna would successfully defeat the deadman. More about this match can be read in my article about Undertaker vs Yokozuna in a Casket Match. At the same event, Bret Hart and Lex Luger would co-win the rumble match securing them both a title shot at Wrestlemania X (read more about Bret Hart at the 1994 Royal Rumble). Lex Luger, by the winner of a coin toss, would fight Yokozuna first. 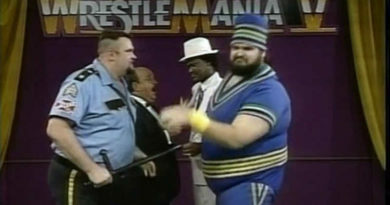 He was unable to beat Yokozuna as he was disqualified by the guest referee, Mr Perfect. In the main event, it was Bret Hart’s turn to face the behemoth. Bret Hart was able to secure the victory after Yokozuna fell off the second rope when he was going for his finisher, thus ending the longest heel title reign in WWF history at 280 days! Yokozuna, who’s real life name was Rodney Anoa’i, was the first Samoan descent wrestler to win the WWF World Heavyweight Championship. He was also the first to win a Royal Rumble match paving the way for his relative: Dwayne “The Rock” Johnson who would go on to achieve these same accomplishments and many more.